Open to the public. Safe and fun for all ages. TRICK OR TREAT ON 2ND ST. Calling all ghosts, goblins, princesses and superheroes! Grab a bag and come show off your costumes in return for some serious candy loot! Walk the streets of Belmont Shore and trick or treat in participating businesses. 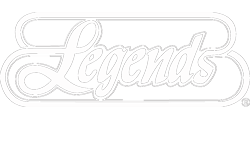 For those of you adventurous to come geared up in your best Halloween Costumes, the staff at Legends Sports Bar will be looking out for the best costumes that our patrons dare to wear! Bring your friends, come have fun and let’s enjoy some amazing costumes!